Stokely leads a solitary life, trying to do all the right things. He has a solid, respectable job, a properly decorated, respectable apartment, and goes to work every single day, no matter what. But it’s Christmas, and he hates Christmas, especially since his one guilty pleasure, listening to Asher Banks on the radio, is ruined with upbeat, holiday garbage. Asher is the polar opposite—he loves Christmas to a fault and schedules himself into the ground with fundraisers to help the local community. When Asher and Stokely meet during one of the holiday spectacles Asher has thrown together, sparks fly, but neither one of them has ever had a real Christmas—or a real home. Will they be able to make one with each other? Stokely and Asher both grew up in foster homes, and as adults, they have completely opposite approaches to Christmas. Asher loves it and Stokely hates it. They also have different personalities, Asher is outgoing and Stokely is more serious and reserved. Pining for Perfect is a perfect Christmas romance. It has happy and sad, love and romance, and someone who doesn't love Christmas realising it isn't so bad after all. This story would make a great movie for the Hallmark Channel (minus the R-rated scene of course). I loved this story so much. It made me cry happy tears and has left me in such a great mood. Pining for Perfect gets five Christmas stars from me. KI grew up in small-town nowhere pretending that meteor showers were aliens invading, turning wildflowers into magic potions, and reading more than was probably healthy. Ki had one amazing best friend, one endlessly out of grasp “true love,” and a personal vendetta against normalcy. 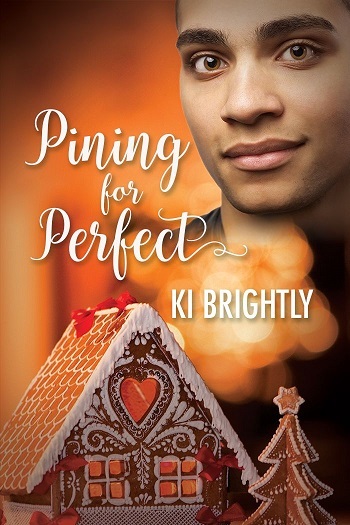 Reviewers on the Wicked Reads Review Team were provided a free copy of Stocking Stuffers: Pining for Perfect by Ki Brightly to read and review.